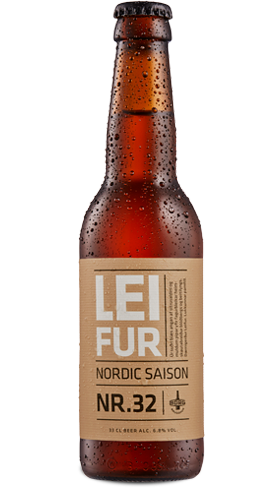 Leifur is brewed with wild Arctic thyme and heather, Belgian yeast and hops that deliver a tingling aroma of crushed pepper and citrus. Leifur is named after the Icelandic explorer Leifur (the Lucky) Eiríksson, the first European to set foot in North America – almost 500 years before Christopher Columbus. Leifur discovered a lush landscape with plentiful stores of salmon, vines and grapes, and so named the land Vinland (Vineland).